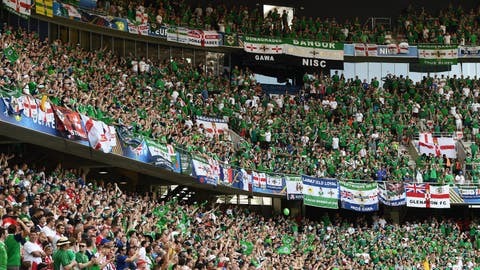 Northern Ireland fans inside the stadium ahead of their game against Poland. He said the victim’s name has not yet been released. Nice’s Promenade des Anglais is famed as a landmark of the city and runs for some four miles. Below it lies a rocky pebble beach. Thousands of supporters descended on the city to watch Sunday’s fixture against Poland.